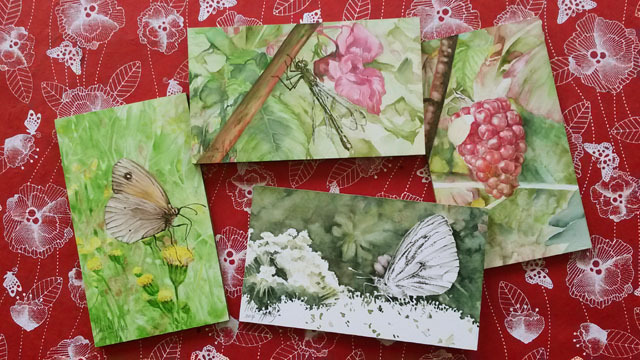 A little while ago I started a series of small watercolour paintings on Ampersand Encausticbord. which will be at Sunday November 12th. 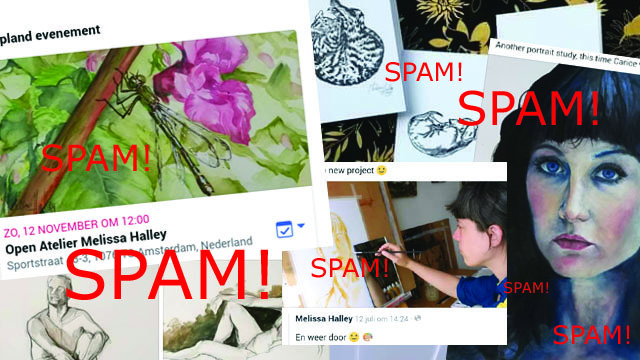 Recently I got accused of spamming and it kinda broke my heart. and would be very engaged at events etc. were talking about. There had to be a misunderstanding. from the creative world they find important or interesting. sharing about my life and my life is mostly about art. This person meant well but I think they were wrong to tell me what to do on Facebook. my place to tell others what they should or shouldn’t do on Facebook. So, fair warning, I’m going to continue to post about (my) art and inspirations. organization before the Trump Presidential Inauguration in January. equal rights for women, LGBTQ, for everybody. They use the valuable tools they know: art. Josilda da Conceição Gallery, Wormerveerstraat 14, Amsterdam. Closing party: Sunday, March 12. 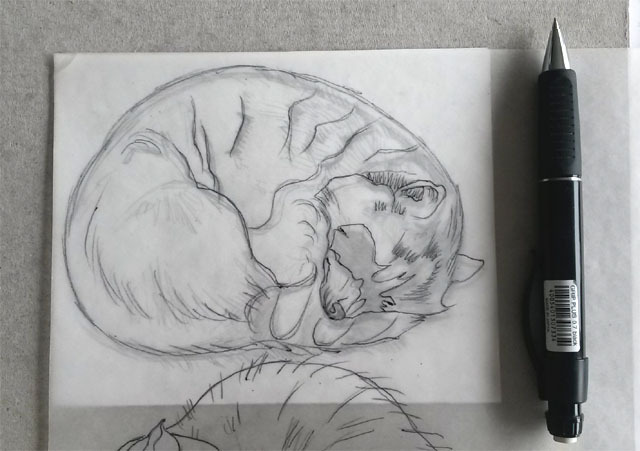 During my ‘15 Lino’s in 30 Days’ challenge I got a few questions about my process. proper or only way to cut a lino. pencil because of my old hand-/ thumb injury. Because of its broadness it has a nice grip. 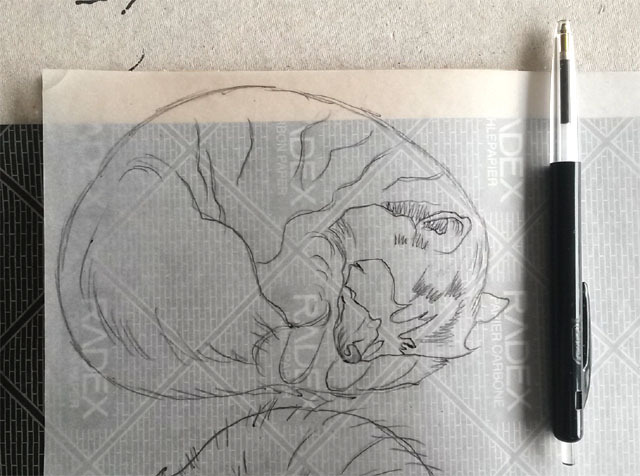 2) Using that same pencil I make a very global copy on tracing paper. typewriting, somehow it works better than the blue kind which is meant for handwriting). 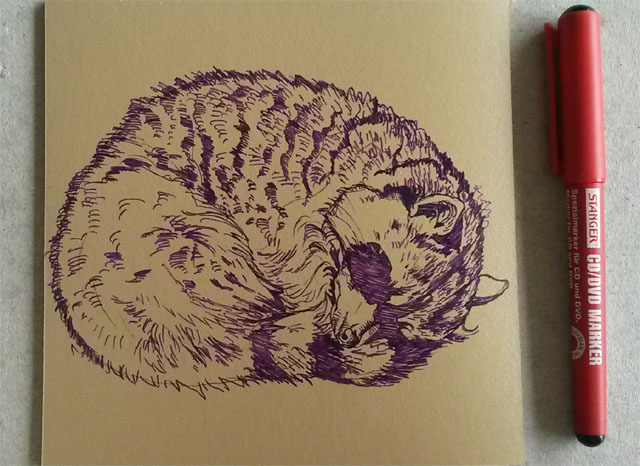 I use a Bic pen to trace the drawing. 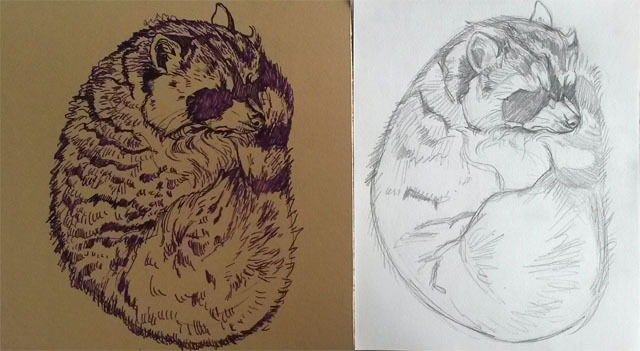 5) As you can see compared to the first sketch the drawing on the lino is much more detailed. nice fine lines. 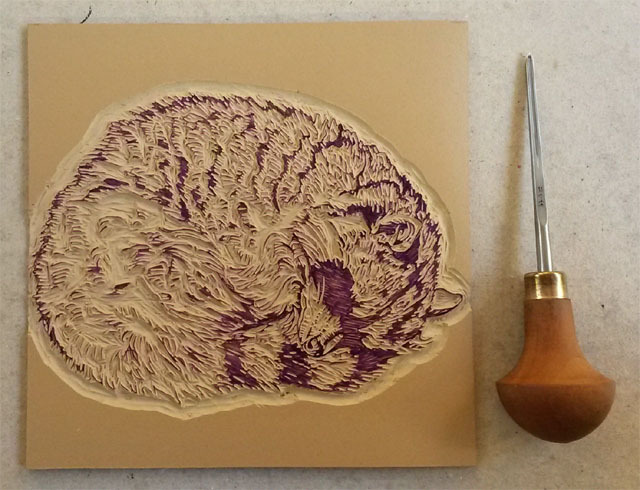 I used this gouge during the entire ‘15 Lino’s in 30 Days’ challenge. 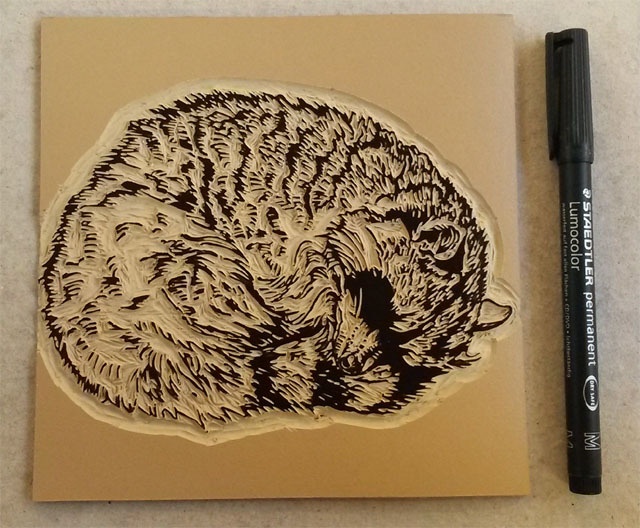 For bigger surfaces I used my regular Abig lino cutting toolset which also worked perfectly. clear picture I use another marker. 7) Here I used the Staedtler permanent Lumocolor marker to have a more clear image. print is going to look like! 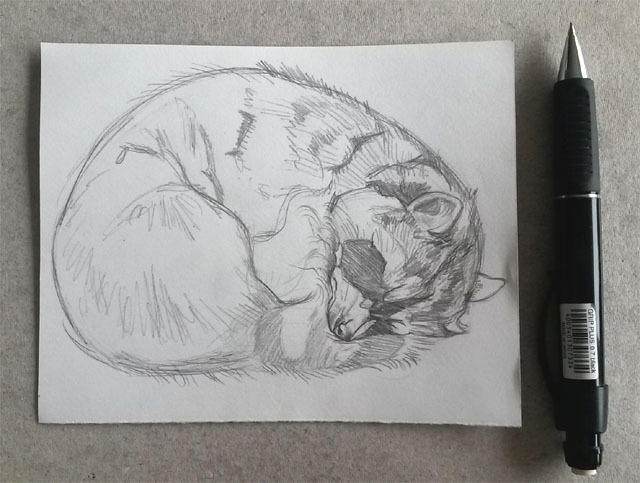 suggest a sleepy raccoon eye. You can find the end result here! and it was the hardest and most challenging of all. would come up or I would simply decide to do something else. gave my hand a rest, the pain would disappear like it did before but it didn’t. drawing hand for a year. 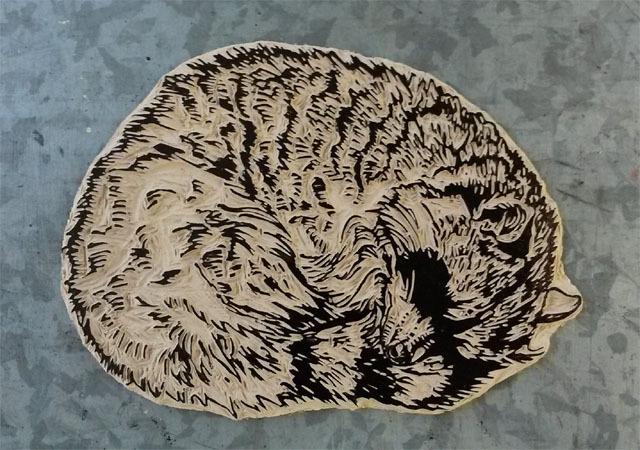 very demanding so getting back in the saddle of making linocuts was a biggie. 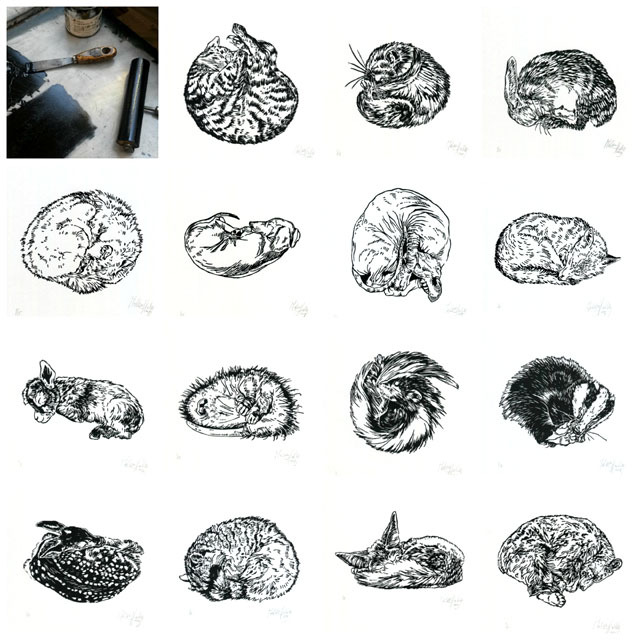 '15 Lino’s in 30 Days' challenge. Cut one day, print the next. because of my old injury. But I did! need to set some rules for myself. Important is to take regular, small brakes. So after 30 days of hard work I ended up with 15 new lino’s in one month’s time, which is a lot! I ended up with some callus on my fingertips and (only) 4 cuts in my fingers.